Convinced that colleges and universities could benefit from their own digital marketplace for students to sell things like textbooks and furniture, Mackenzie Scott launched bgon. Two years later, the app is gaining momentum both in Canada and south of the border. 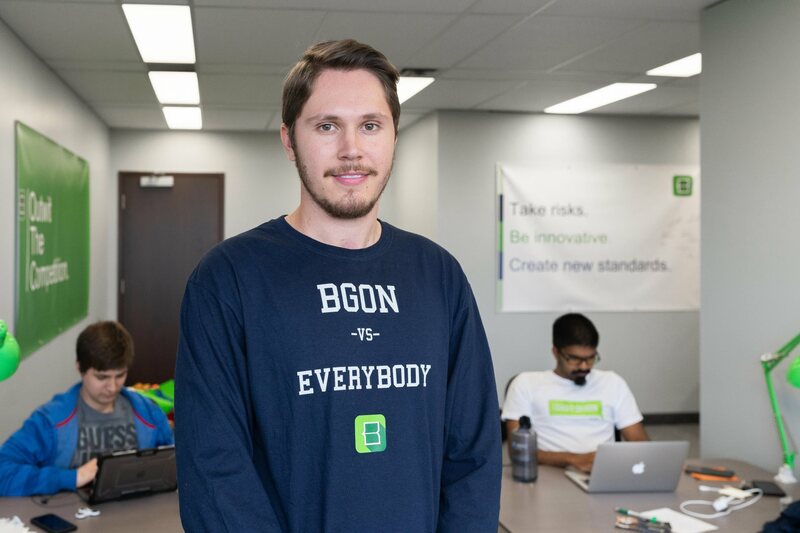 Mackenzie Scott was decluttering after his second semester at Oswego State University of New York when he came up with the idea for bgon, a trading app for students to buy and sell their stuff exclusively at their school. Sure marketplace options like Craigslist exist, but for non-local students like Scott, who’d moved to Oswego from Toronto on a hockey scholarship, he suspected there was equity in a campus-specific app that could only be used by students at that school. Scott was studying business at Oswego and had no idea how to code, so he outsourced the app development to a firm in Toronto. When the app was completed he hired Seyan Kumaresan as CTO, and together they built out the team and launched in beta, testing it out in 500 schools across Canada to see where there was organic traffic. The research pointed to seven schools, Osqego and Ohio State in the U.S. and University of Guelph, Humber College, Ryerson University, York University and the University of Toronto. “There’s an option for students when they're signing up if they get on the app and go, oh my school is not here, you can rally for your school,” he says. If bgon gets 100 or so users rallying for a school they consider adding that college or university to the app. That’s what makes organic growth so critical, it helps generate demand. It also allows Scott and co. to concentrate on adjusting new features like the recently added forum for students to connect in the summers between semesters. Scott’s been every bit as selective about his own team’s growth. Coming back to Toronto, Scott says he wasn’t sure he truly understood the scope and size of the startup community. He relied on his fiancée who works in human resources and has more familiarity with the tech scene. That’s changed now. Scott says any time they are hiring for a role, they're overwhelmed with the breadth of talent.